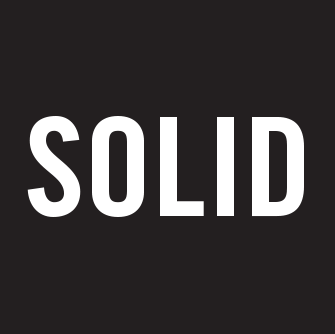 Founded by Alfredo Muccino, an award-winning creative director and brand strategist who got his start in Silicon Valley – Solid is an agency built on innovation. Innovation is not only built into the work that we do, but also into the methodologies we use. While working with some of the most forward-thinking companies in the world we’ve learned to adopt Design Thinking, Rapid Prototyping and Lean Processes into the way we work. Additionally, we leverage technology to build efficiency into our workflow, facilitate cross-team collaboration, and reduce the cost of doing business. As a result we are able to deliver work faster and more cost-efficiently than most of the best traditional agencies. Our collaborative model stresses agility and efficiency, enabling us to work with clients worldwide and deliver award-winning work thanks to a network of highly talented strategic and creative resources from across the globe. We assemble teams of people with specific expertise, carefully matched to our clients’ needs. Teams work collaboratively, guided by strategic thinkers who ensure the work meets the business objectives and by senior project managers who make sure projects are delivered on budget, and on time. We help our clients build differentiated, relevant and sustainable brands. Often we’re asked to work on the launch of a new corporate or product brand – and in other cases we help revitalize and rejuvenate existing brands. Also, we have plenty of experience working on brand transitions triggered by mergers, acquisitions and divestitures. Ultimately, the goal is pretty much the same – enabling vibrant brand experiences across every possible physical and digital brand touch point, making the brand relevant for customers, employees and shareholders for years to come. Our years in Silicon Valley, have taught us to invent new approaches. For example, we’ve created the Solid Strategic Partner Network, a group of branding experts with senior level experience in diverse disciplines. The network enables us to scale with teams that are specifically matched to our clients’ needs. By combining scalability and talent with tools and processes designed to streamline what we do, we can deliver better work in less time – and at less cost – than many other agencies. We don’t have fancy offices, lots of servers or a huge full-time staff. Instead, we leverage cloud-based platforms, and our infrastructure and talent resources are mostly outsourced, keeping us scalable, flexible and lean. Instead of being limited by the skills of our internal staff, our agile model enables us to access teams of experts in multiple disciplines, all working under our strategic brand guidance and experience. This way, our clients get only the very best. We assemble teams based on the individual needs of each client in order to match their unique working style, and their specific project needs. And we do this collaboratively with them, to ensure the best fit and team chemistry. Our years of experience working with some of the most successful brands in Silicon Valley has taught us to embrace methodologies designed to optimize value, speed, flexibility, innovation, and – most importantly – results! In the end, what matters is less about how we do our work and more about delivering what you need to succeed. Invariably, this the reason why clients choose to work with us time and again. They realize that we have their best interests at heart and we will always work hard to deliver results. directly with our clients and contribute our years of experience to arrive at the best possible work. The better we work together, the easier it is to do great work. That’s why we build teams and processes designed to fit each client’s needs and working style. It’s part of our collaborative approach – and it leads to great chemistry. It’s as simple as that. Our business model means we have a lower overhead than most other agencies. This allows us to charge less without affecting our profit goals. And, without the red tape, we can deliver work faster, too. All of this adds up to more value for less cost for you. Successful companies understand the value of good branding and design. And so do we. It’s all about results. We’re truly passionate about doing work that achieves business objectives. It’s what our clients expect from us. And it’s what we aim to deliver. Every time. We love working on new projects and starting new relationships. able to work together and accomplish great things together. We’ve been lucky to work with wonderful people from the world’s greatest brands – and from smaller companies, too.